Columbia Gas said Monday that all Merrimack Valley residents displaced by the gas explosions in the region will be back in their homes by Dec. 16. Company executives made the commitment at a congressional hearing held in Lawrence. They also said that they would compensate every resident injured by the explosions. Sen. Ed Markey called the hearing. He and other congressional leaders grilled Columbia Gas and its parent company NiSource. Notably, Markey and Rep. Seth Moulton called on the company's CEO, Joe Hamrock, to resign. 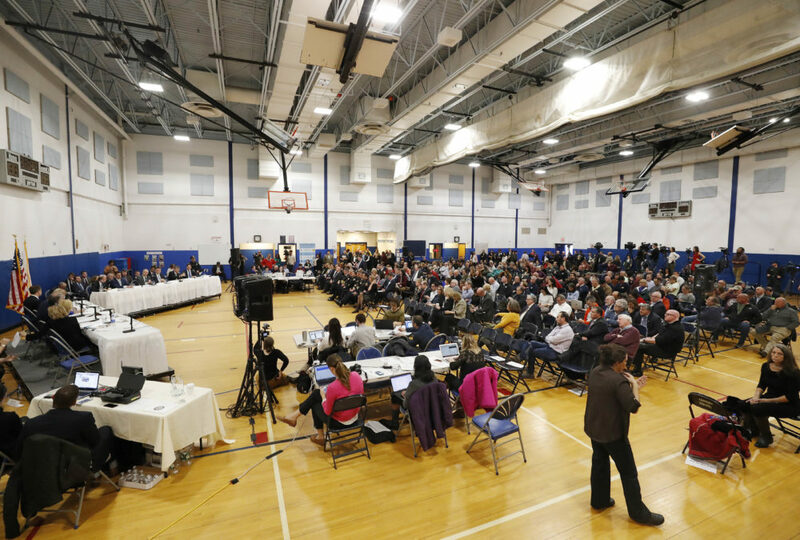 But, during an exchange with Congresswoman Niki Tsongas, Hamrock did not confirm that the costs of the disaster would not be passed onto ratepayers. Simón Rios, WBUR reporter. He tweets @simonfrios. Niki Tsongas, congresswoman representing the Massachusetts 3rd district. She tweets @nikiinthehouse.